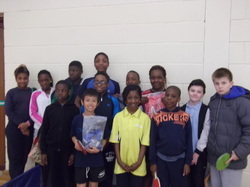 On May 15th the Division 1 boys and girls teams competed in the Leinster Schools Cup. Both teams made it to the final and both teams came home with silver medals. The final league results saw all four St. Ronan's teams take home medals. 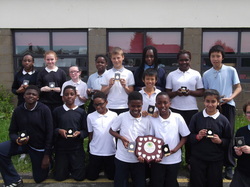 Both boys and girls in Division 2 got Runners-Up. 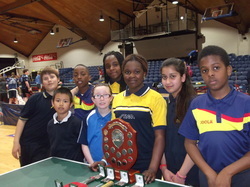 Div 1 boys were winners and Div 1 girls All Ireland winners. Well done to all. 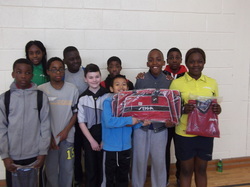 Ten players from St. Ronan's took part in a Table Tennis Challenger in Colaiste Phadraig Lucan on Sunday March 23rd. There were 54 players divided into 4 divisions. Each player got eight games. The top two players went on to the Final. We had four players in the Finals one in each Division. Emmanuel Adewale won the top division. In the other divisions we got Runner Up places. Jenny Ekeziem in Div. 2, Toyosi Sosan in Div.3 and Emmanuel Adegboyega in division 4.